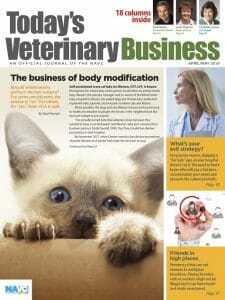 We don’t have a shortage of veterinarians with regard to the number of veterinarians out there [“The Ripple Effect,” June/July 2018]. What we have is a shortage of vets who want to or can afford to live/work in a rural area. What we have is a shortage of vets who want to work a 40-hour week. What we have is a shortage of vets who want to work more than 40 hours a week. What we have is a shortage of vets who want to work a 40-hour week and then be on call. What we have is a shortage of vets who can afford to live/work in a high cost of living area like Long Island, New York. Look at the cost of living on L.I., look at the debt load, then look at the salaries being offered. Do you really think new grads can afford to live on L.I. and pay their student loan? Hell, I looked at a job in Southern California back in the early ’90s. I was single and no kids. I was going to manage/work the practice. The salary they wanted to pay me, I could not afford to live in the area, and I was debt free. I did not take that job. I worked a minimum of 65 to 70 hours a week my first three years out of school — paid salary. Nobody wants to do that anymore. Everybody wants the 30- to 40-hour work week in an area they can afford to live. Due to the student debt load, the “being able to afford to live” is getting very, very hard to do. The hot-bed areas are suburban areas. It’s easier to afford to live in suburban areas. They have easy access to the amenities of life we all want: good schools, good medical care, decent wages and cost of living, and plenty of things to do. They are full of residents with disposable income. Vets in suburban areas do not have the same problems attracting associates as urban and high cost-of-living areas. We really do not have a shortage of vets. We really do not need more vet schools. So glad I’ll be retiring in about 10 years, as our profession is going down the tubes in so many ways. Try to find a job in England that’s not corporate. Give it time; it will be the same in the United States. Insurance companies will be dictating what we make in 10 to 20 years, just like the MDs. It’s coming. Dr. Scott Vaughan practices at China Grove Animal Hospital in China Grove, North Carolina.